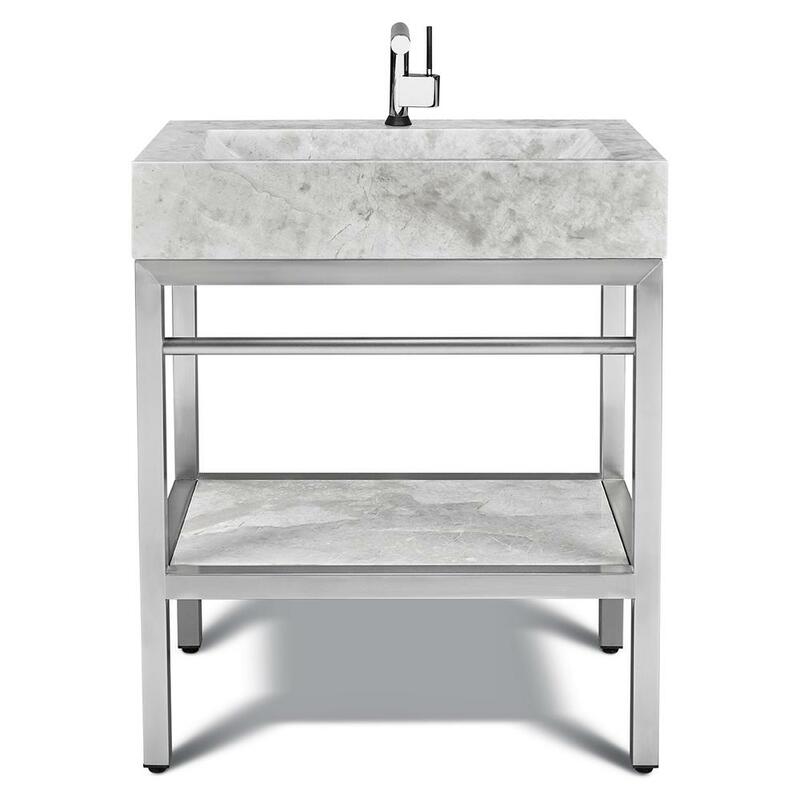 Designed by nature, the Ice marble sink marries contemporary design with natural elements delivering a serene uncluttered ensemble. 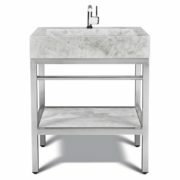 The Stainless Steel Vanity is strong, corrosion resistant, welded with a brushed finish. The attention to detail is remarkable. Simple style combined with a contemporary look and finish, our vanities fit and compliment all styles of design and will transform your bathroom into a Spa like retreat. if you are renovating, redesigning your bathroom or simply needing a new washbasin, let VMS-030 + LMS-030 – 30″ Marble and steel bathroom vanity unit add class and style to your Bathroom. 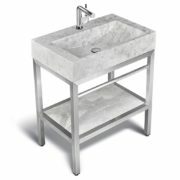 Be it a Traditional, Transitional, Modern | contemporary style Bathroom sinks at a great prices, consider UNIK STONE VMS-030 + LMS-030 – 30″ Marble and steel bathroom vanity unit by Unik Stone.